The Angry Tiki: Not even IN one ear, let alone going out the other. Not even IN one ear, let alone going out the other. A long time ago I wrote a blog about people being too caught up in themselves to listen to other people during conversations, but there are a few people who are on a completely different level where virtually NOTHING anyone says is processed and I believe something like the video below is on a permanent loop in their brains. One person in particular, a lady I work with, converses with me on such an unparalleled level of detachment that I took to documenting our conversations (inspired by Stephanie and her Hammerhead Theatre). She actually really loves me and likes to talk to me, but that doesn't seem to make her capable of a cohesive conversation. The conversations here have been building up for close to a year. At first I was waiting to collect a decent amount until the other day when I realised the collection had grown far bigger than I needed for a substantial blog, so I thought I best hurry up and post. There are also a couple of guest stars thrown in for good measure, but it's mostly about the star offender who will be known as Grug. This conversation followed a work trip which I and a few other co-workers were on. Grug: You didn't come back with the others? Me: No, I flew in last night. They are landing at about 10am and coming straight here. Grug: Ohhh, so they're not coming in to work? Me: Noooo....*shuddering* I just SAID they're coming straight here. This was before I learned to start appreciating these instances for the sake of collecting, sharing and laughing. You'll find less frustration as we go on. A card is offered to me for sign discreetly while the person who the card is for is within view. Me: (as I didn't hear her properly) You want me to wait until she's at lunch? Me: Oh! Well should I wait until SHE (the card recipient) goes to lunch? She's supposed to go any minute. Grug: (still waiting for me to sign the card) Yeah! Everybody is gone! Grug: I don't know why it's come back! Me: Did you look up the address? Me: Then how do you know it shouldn't have come back? Did you look it up? Grug: No phone number, no fax, nothing. Me: Did you look it up already? Customer: Leave it on order until December. Me: Do you want me to cancel it at the beginning of December or the end of December? Me: Yeah, it over-heated. It needs a rest. Grug: The staples! It can't take it! Me: No, it can handle the staples. I've been running them through all this time. Grug: No! I take them out. Me: But it CAN take them. It shows on the shredder that you can shred CDs and credit cards and I haven't had any problems. It's just hot. Caller: May I speak to Jesus Freak? Me: Jesus Freak, there's a call for you on line 4. Me: Line 4...oh, I guess they hung up. Jesus Freak: Was is a male or a female? Jesus Freak: Oh er, but do you know, was it a man sounding voice or a woman sounding voice? After MANY conversations where I could tell this guy was never listening to me at all, I was delighted one day when he was blatant enough that I could call him on it, thus giving me license to avoid him from then on. He's such a dipshit because what he ignored was entirely for his own good. Self-absorbed prick: So, I'm going to downgrade my Disneyland pass from the Premium to the Deluxe pass. Get one for my girlfriend too. We're going to go on on Christmas Eve and then go into the park. Me: Oh! You can't! We have the Deluxe pass and Christmas Eve is a blackout date on that pass. SaP: ....and yeah, like I said, we're gonna go on Christmas Eve and get our Deluxe passes. Me: (harshly) I just TOLD you, those passes don't work on Christmas Eve! BUSTED! I've barely spoken to him since. I was always looking for an official way out and that was it. What must that guy hear when people speak? Like the school teachers in Charlie Brown cartoons? Grug: Oh, I don't open things until they've been given to me. Her: Yeah! My son is just like you. I have to hide everything! Jesus Freak: Did you cut your hair? Me: No, but I'm getting dyed again on Saturday. Jesus Freak: What colour are you getting? Me: I'm doing pink again, but my sister thinks that's too much for the wedding, so I'm going to go dark, blood red for that. Grug: (nodding in agreement) I LOVE weddings! 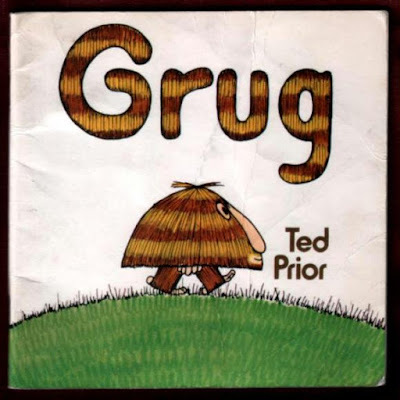 In case there is any question about Grug's hearing, I assure you it's fine. The following is a testament to the fact that things just don't go in. This is a case of her not processing what she is seeing. Grug stands at the printer, staring at it for a solid minute. I notice her standing there as it is next to me and I also notice it isn't making a sound. As I get up to see what's wrong, she throws her hands up and declares how frustrating she finds the printer. I point out to her that the red error light is flashing. Again, she was staring at it waiting for it to start the whole time. John Corke is on the phone as someone is faxing his regular phone line. Me: Did you just fax John Corke? Me: (suspecting she wasn't listening, I said the name again) I need to find out who just tried to fax John Corke.